Many Florida residents are lawful gun owners. They may own antiques as part of a collection, rifles for hunting, and handguns for personal protection. While these owners may be careful to ensure they have the correct registration, license and storage during their life, their firearms raise questions when they pass away. 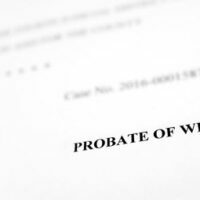 If you are acting as the personal representative for that person’s estate during probate, then it is up to you to ensure these items are handled carefully and within the law. You may not be able to simply give a beneficiary a firearm as stated in a will. There are situations in which their taking possession of the gun would be illegal, such as if they are a convicted felon. The same can be said for your possession of the firearms. You are not exempt from the law because you are acting on behalf of an estate. If you are not entitled to possess a gun, speak with an attorney immediately about ensuring the firearms are stored in a lawful place during the probate process. As a personal representative, carefully review the decedent’s estate planning documents, including whether they have a gun trust, and speak with an experienced probate attorney before doing anything with the decedent’s firearms. Numerous federal and state laws regulate the sale or transfer of firearms, making the gifting process complicated. If you hand over a gun improperly or to an unlawful owner, you could be in trouble. Also, if the decedent did not make a plan for how their guns were to be handled, you will need to know how you can dispose of them. Is the Firearm Covered by the National Firearms Act? If the weapon or an accessory is covered by the NFA, then you must follow all federal rules regarding its transfer and ensure the proper taxes are paid on the transfer, if applicable. These are also known as Title II weapons and include machine guns, sawed-off shotguns, and other destructive devices like grenades. Common accessories like silencers are also regulated by the NFA. All owners must properly register NFA weapons with the federal government. When an owner wishes to transfer a weapon to someone else, the transfer of registration must be approved. This is true for a sale during the owner’s life or passing it on after death. As the representative, you will need to obtain the correct Bureau of Alcohol, Tobacco, Firearms and Explosives (ATF) form and ensure all rules of followed in applying for the transfer. Though as of July 2016, you no longer need a chief law enforcement officer to sign off on application to transfer registration, which makes it a bit easier. This complicated procedure is why individuals often create gun trusts, which owns the guns and enables multiple people to possess and use them. Additionally, guns held in trust can continue to be owned by the trust and possession can simply move to the beneficiary after the original possessor’s death. You do not have to go through the formal transfer procedure required by law or pay taxes on the transfer. If the decedent had a gun trust, speak with an attorney about ensuring it remains intact and you obey the law. If the decedent owned a firearm not regulated by the NFA, then the transfer to a beneficiary will be easier. You should ensure that the beneficiary is at least 18 years old, has obtained any necessary license, and is not prohibited from owning firearms under the law. You should also ensure that the transfer is properly recorded. Florida does not require owners to register their guns or obtain a license for handguns, rifles, or shotguns, therefore you may be able to transfer these to a beneficiary easily. If you are a personal representative of an estate that includes firearms, contact the Law Offices of Larry E. Bray, P.A. in West Palm Beach to learn about the law regarding these assets. Call today at 561-571-8970.